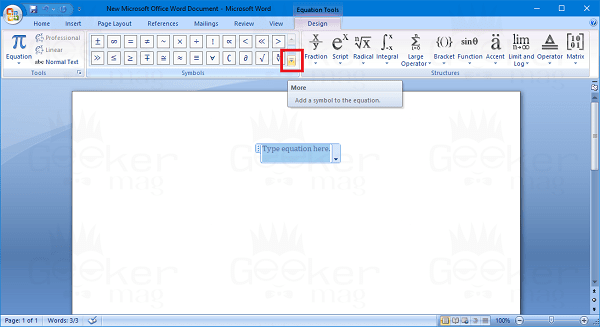 If you don’t know about the steps to insert Angle Symbol in Word? In the following post, you will read about all the possible ways on how to do that. 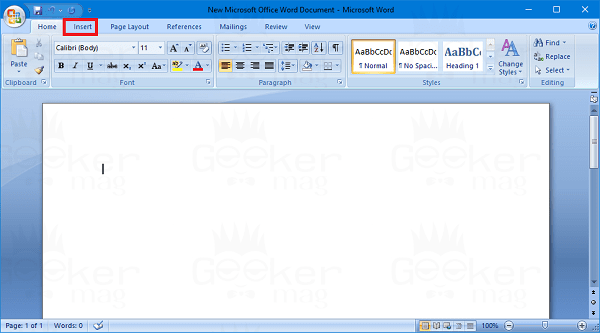 Microsoft Word is the well-known word processor, part of the Office suite developed by the Microsoft. The majority of the users use MS Word on the machines running Windows and Mac OS X. 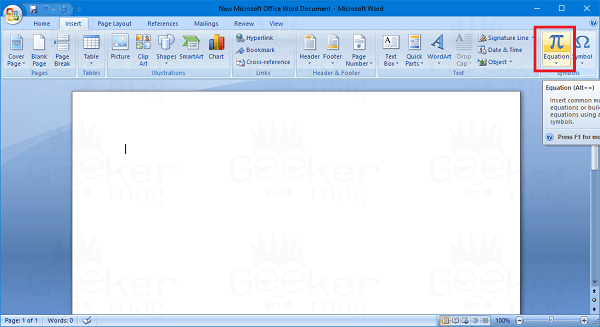 Using MS Word users can create various type of documents. Whether you’re writing an essay, creating a report or writing a mathematical assignment, users can create all kinds of documents using it. Lots of users not able to find the option to insert Angle Symbol in Word document and mistakenly typing greater than a symbol a.k.a Right arrow while writing geomaterial equation or writing something related to angles. 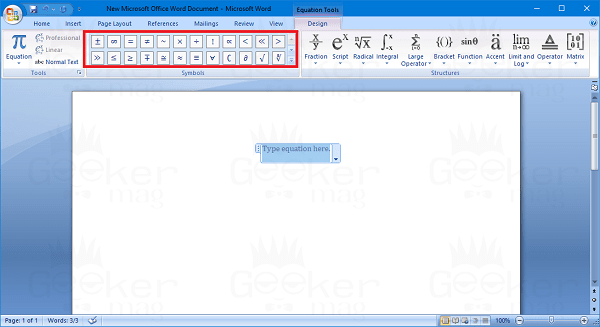 No doubt, the MS Word is easy to use the program, but some users may find it difficult to use. The same in the case of Angle Symbol. 1. Click on the ‘Insert‘ tab available on MS Word Ribbon. 2. Click on the ‘Equation‘ button. Make sure to click in the middle of Equation button. If you click on the down arrow icon available on the same tab, then it will show you some mathematical equations. Now click on the down arrow icon next to Basic math. This will show you a list of different symbol category. Just select the Geometry. On the MS Ribbon, the symbol section will show you Geometry symbol. Here you will also find the Angle symbol. 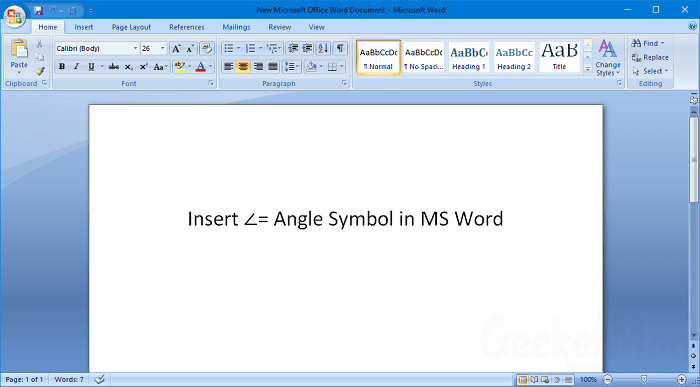 Just click the on the Angle symbol to insert into the Word document. Note: In above steps, I have used Microsoft Word 2007. In case, you using newer or older version of MS Office, then again you need to follow the same steps. 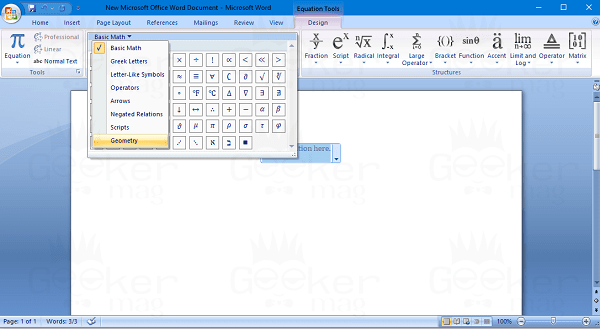 You can also insert an Angle symbol into a word document using Alt codes. The Unicode for Angle Symbol is U+2220 and to insert Angle symbol you need to type the U+2220 code in the word document and then press ALT + X keyboard combination. This will instantly insert the Angle Symbol. 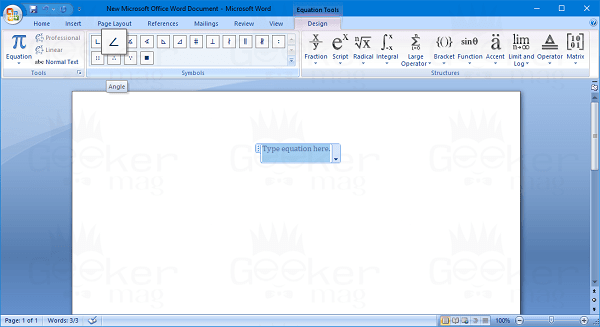 It is also counted as the quickest method to add Angle Symbol in the Word document. 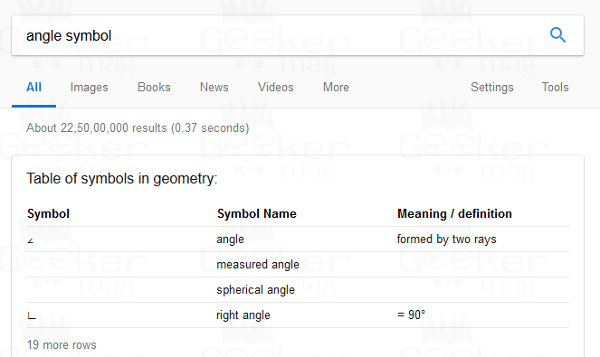 In case, due to any reason, you’re not able to insert an Angle symbol in the document, you can just search for angle symbol online and when it appears in the search result copy and paste into the word document. 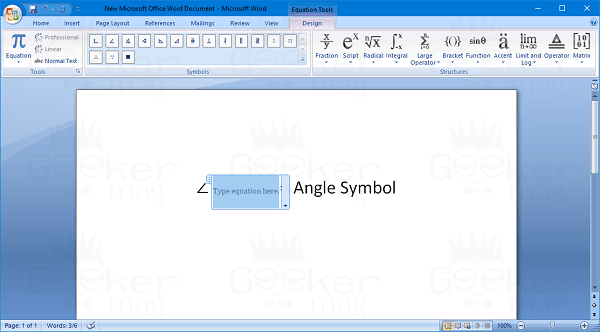 I hope you find my article on how to insert angle symbol in Word document useful. If you any other method to do the same, then feel free to share it in the comment.